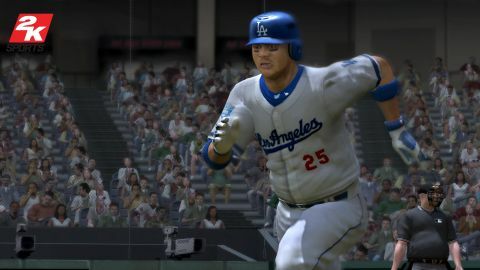 It takes a lot of guts to open up the engine of a great annual sports game, rebuild its core mechanics, and toss a pile of new features on top of it all. It takes even more cojones to do so when you’re the only game in town on the Xbox 360. Yet that’s exactly what the fellas at 2K Sports did with MLB 2K8. The result has all the makings of a classic baseball champion - but unfortunately makes a key error that has us all scratching our heads. This spring, it’s a case of one step forward, two steps back. On the positive side, pitching has been completely reworked and it is nothing short of brilliant. Gone are the days of Tiger Woods-style button-timing meters; instead, your hurler’s success is dependent upon a unique three-step approach using the right analog stick to mimic the throwing motion of a golden-armed major leaguer. We wrote a ton about this back in ourpreview.While it certainly takes some getting used to (and results in some embarrassing box scores early in your career), it’s by far the most immersive and flexible pitching simulator we’ve ever played. Unfortunately - and confoundingly - the slick visuals and smooth gameplay of last year’s game have been struck out and sent to the bench. For reasons we can’t fathom, players and fans are uglier and, even worse, serious frame rate problems cause many of your fielding plays to be choppy and awkward. Perhaps the developers tried to do too much in one season, or maybe it’s just a bug they couldn’t fix in time (word has it a patch may be coming someday). Whatever the reason, it’s a distressing distraction that takes 2K8 down a couple of notches. Description The slick visuals and smooth gameplay of last year have been struck out and sent to the bench.